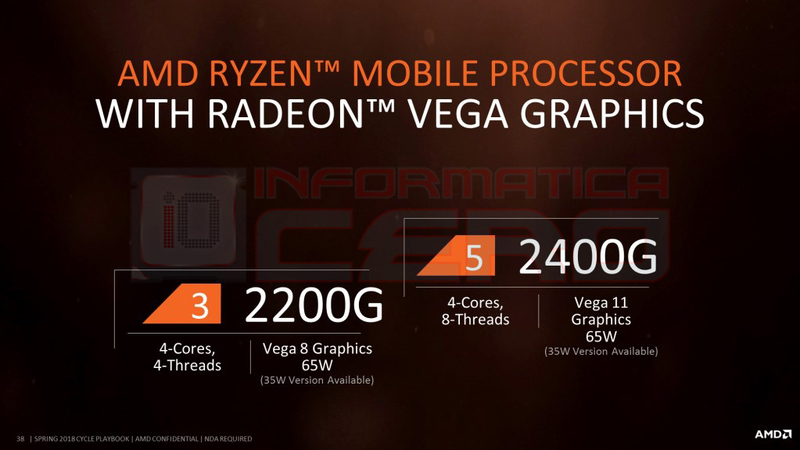 The latest AMD Ryzen mobile processors featuring even faster integrated Vega graphics have been leaked by Informatica Cero (via Videocardz). The new processors will make use of the Zen CPU and Vega GPU cores like the previously launched Ryzen mobile APUs, but feature slightly faster graphics integration. According to the leaked slides, AMD is definitely preparing faster Mobile Ryzen APUs for the notebook platform. These processors will be labeled as the “G” series family while the previously launched lineup falls under the “U” series family. At the moment, we know that the “U” series falls in the ultra low power category which tackles similar Core U series processors from Intel. 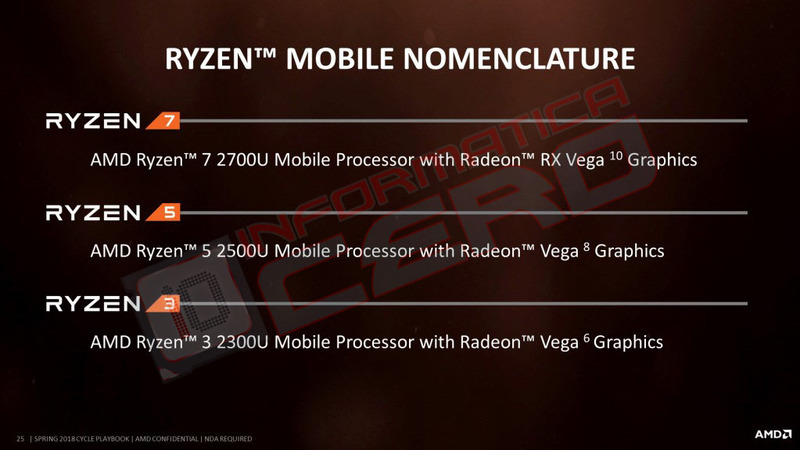 The Ryzen “G” mobile series will be faster than the currently available lineup as indicated by the TDP. As for the “G” label, we don’t know what it stands for but “Gaming” could be a possibility. Right now, two variants have been listed in the slides which include the Ryzen 5 2400G and Ryzen 3 2200G. The specifications of these processors are straightforward. The Ryzen 5 2400G comes with 4 cores and 8 threads while featuring the Vega 11 graphics processor. This means we are looking at 704 stream processors which is the highest ever integrated on a mobile APU by AMD. The chip is configured with a 65W TDP that can be configured down to 35W if required. The second chip is the Ryzen 3 2200G and it features 4 cores and 4 threads which means we are not getting multi-threading on the processor. The chip additionally features Vega 8 graphics so we get 512 stream processors along with similar TDP ratings ranging from 35W to 65W. Now there are two things to note here. Firstly, the G series family features faster Vega graphics cores than the U series family. Secondly, the Ryzen 5 G series features a higher CU graphics core count compared to Ryzen 7 U series with just 10 CUs. Also, the higher TDP will mean that the chip will feature faster clocks on both the CPU and graphics side, resulting in better performance than the U series processors. 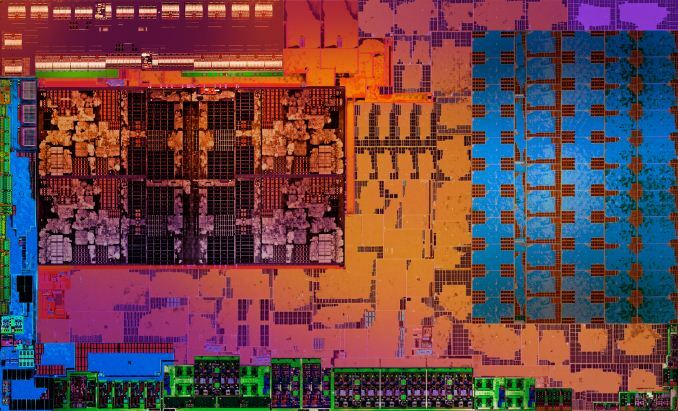 As of right now, there is no Ryzen 7 APU in the G series family but that could feature higher cores and better specifications than the Ryzen 5 2400G if it’s ever released. Finally, AMD is also working on their new Mobile Ryzen 3 2300U processor with Vega 6 graphics which means it will feature 384 stream processors in a 15W package. No word on the core count are mentioned but we can see a quad core, non-multi-threaded design here too. The prices of G series based notebooks will definitely be higher than the U series models, but will end up featuring better performance in both CPU and GPU intensive applications.